Hope you all had a wonderful, restful winter break! I'm winding down on my winter break and gearing up for 2018 in the classroom. I've been planning for the month of January and wanted to share what we will be doing all month long! 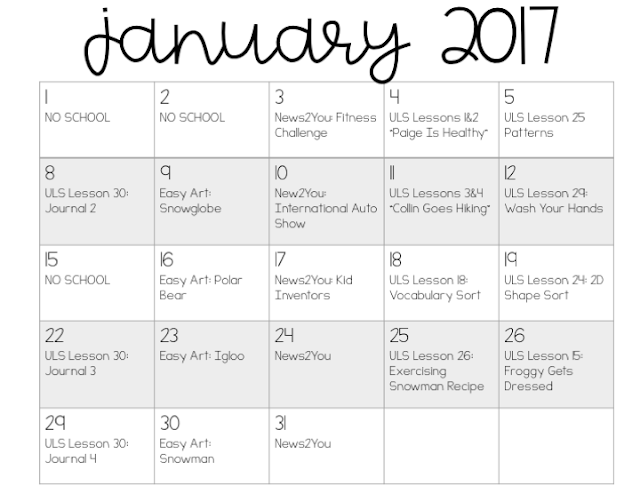 In January, we will be using some lessons from Unique Learning Systems to learn about being healthy. Each month, I make sure we always do lessons 1-4 which are leveled books and comprehension activities that go along with the stories (we use Elementary level ULS in my classroom!). We have also started doing the monthly journals each month, which have been great for my pre-writers! Each of these journal activities includes different visual answer choices for my students to choose from which allows them to complete the sentences correctly, but with a choice. Some other things we will be covering this month with ULS are completing patterns, choosing correct clothing for the weather, a recipe, ordering steps of how to wash our hands, sorting "healthy" and "unhealthy" foods, and sorting 2D shapes. We also use News2You on a weekly basis in my classroom. Every Wednesday, we read that week's N2Y on our Smartboard and as a group we complete the "game page" and comprehension questions. This is a great way to work on comprehension/listening skills, but also do so in a group setting! On our calendar, we will also be completing some crafts from Teaching Special Thinkers Easy Art pack for the month of January. I love putting up the visual directions on our Smartboard for students to complete the craft independently. For some of my students, I pre-cut the pieces for them. Other students in my class are asked to cut the pieces themselves. 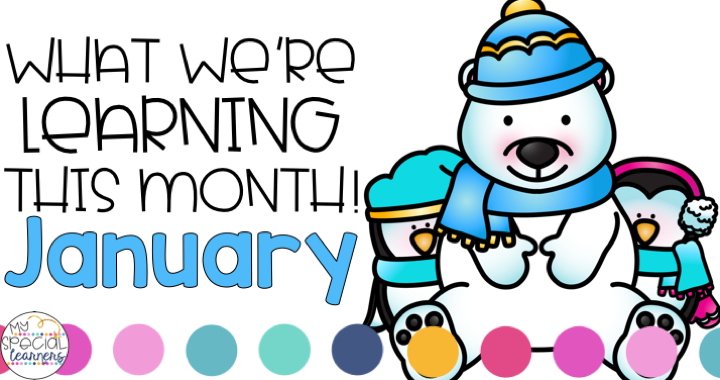 A few other things I will be using this month are my January ELA worksheets and Math worksheets, and some of my winter themed file folder activities! This is just what I needed to help me navigate through the ULS!!! Thank you so much! Also, quick question where do you locate/find the Easy Art section/ideas?